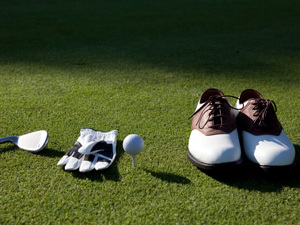 The Diamondhead Golf Club offers the best in equipment and apparel to compliment your golf game. Stop by our fully-stocked Golf Shop or after your round and browse through name brands. Our friendly staff will help you make start times, rent golf carts and register you and your guests before each round of golf. An excellent selection of golf clubs and related merchandise are sold in the golf shop . Contact the Golf Shop for assistance. Diamondhead Golf Club offers chipping and putting areas, and is the perfect place to improve your short game. The Diamondhead Golf Club is also equipped with a driving range and professional golf staff available for lessons. What better way to take your game to the next level this year? Make time to perfect your swing and improve your golf game today. Just contact our pro shop to speak with our professional staff and schedule your lesson. The bar & grill is the perfect way to end your round at our Diamondhead Golf Club. Unwind with your favorite beverage from our fully stocked bar while you relax enjoying the natural surroundings. The bar & grill is open daily from 9:00am to 30 minutes after sunset. Welcome to the Diamondhead Golf Club! All our guests are invited to register to receive our latest course news and exclusive access to member only online specials. Book your tee time now online or call 501-262-3734. Copyright © 2019 Diamondhead Golf Country Club All Rights Reserved.